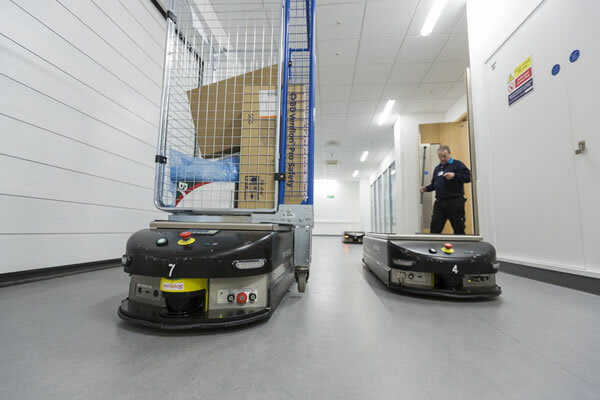 A system of robotic battery-powered vehicles is used to transport items around the Brunel building. 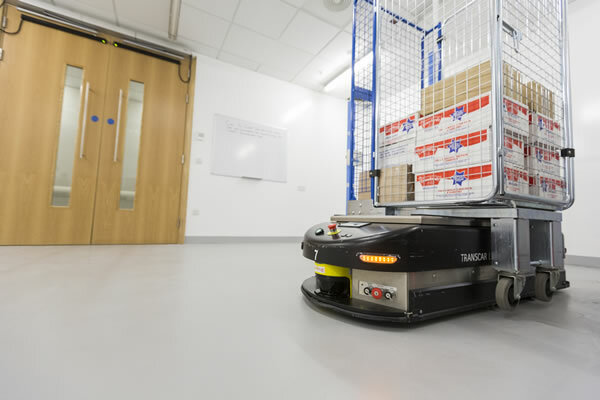 The Swiss-log Transcar Automated Guided Vehicle (AGV) system transports various payloads including waste, linen, food, supplies, sterile instruments, endoscopes and pharmacy items. 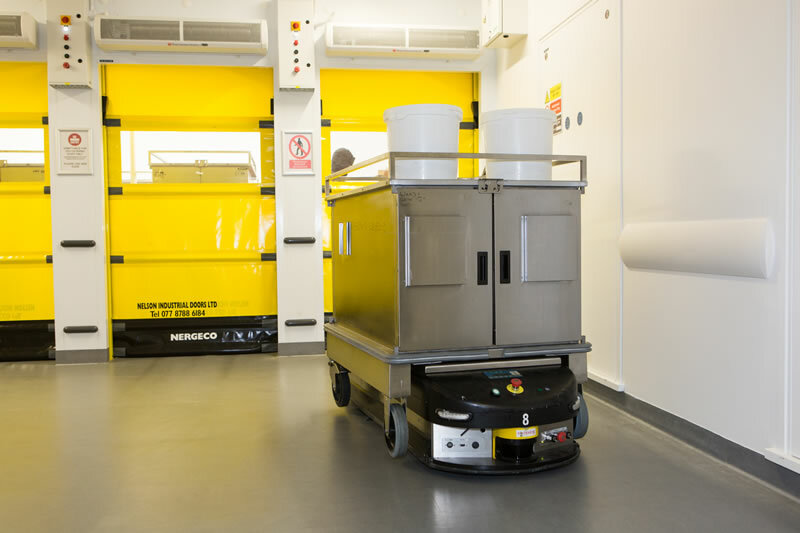 The vehicles only operate in designated areas which are primarily staff-only areas. They are equipped with several safety devices both visual and audible, to alert personnel that they are operational. 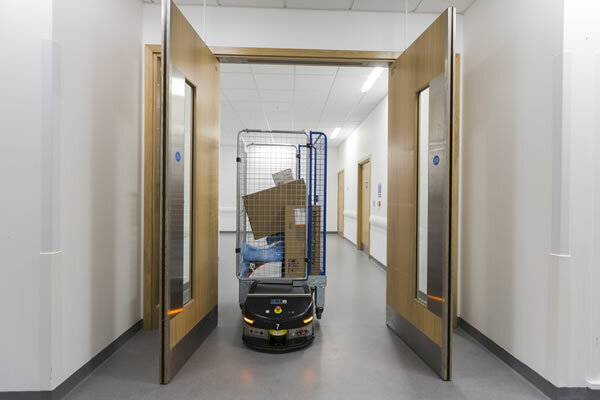 AGVs travel along ‘virtual’ tracks in the corridors and communicate with doors as required. They navigate by using infra-red laser scanners and comparing what they sense with an in-built map. They communicate their location and receive commands from a central computer on Level 0, operated by the Facilities team, over our secured WiFi. During construction we recycled 90% of our construction waste and ensured 30% of the building materials were made from recycled products.